Love Local has just launched and had their launch event earlier today. 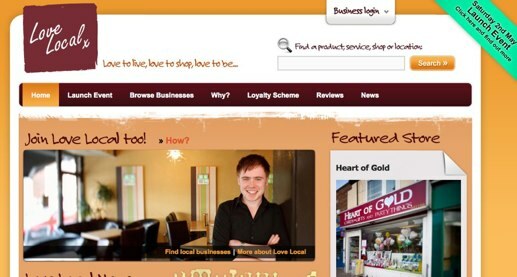 So what exactly is Love Local? Two years ago, a small group of us were discussing what we loved about Newland, and about how we could get this message across better. The idea took hold when we decided to ask local businesses how they were doing and what would improve the local area. We discovered that many were at risk of closure and were struggling to make ends meet, and this was well before there was any talk of recession. Many shopkeepers lived locally, and really cared about the local area, doing their best to help out where they could. We also discovered a whole variety of great shops that we never knew existed. We realised that if we didn’t know (and we’ve been here 20 years) then probably lots of other people didn’t either. So getting the message across became even more important then ever. And so Love Local was born. Dave Foy from Definition Design has designed and developed the website, which looks superb, getting you involved and really drawing you in to find about the local people and their businesses. Do have a look and support your local businesses! What an excellent idea, I love to shop local (but don’t as often as I should) Supporting the local businesses to keep doing what they are doing. Newland Avenue has a great selection of stores, and the residence and business associations are the best, its not far from where I live, and I use it sometimes on the way home from work, only problem I have is parking. I also try to shop local when I can and even though I don’t drive myself I agree that a car park for customers would improve things for the retailers.